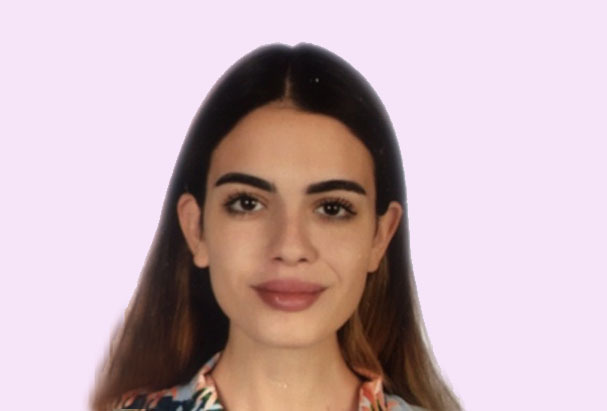 Undergraduate researcher in Bilkent University, Department of Molecular Biology and Genetics. Courses she has attended Ankara University School of Medicine, Dept. of Medical Biology; Microgene Research Laboratory Ankara; Research Laboratories of IRCCS Fondazione Ca' Granda – Policlinico University of Milan; University of Rome Tor Vergata, Department of Biology, Laboratory of Molecular Genetics. SDS-PAGE electrophoresis dyed by Coomassie blue in protein samples belonging to 5 different parts of the cell obtained from rat macrophage RAW cell line. Production and PCR amplification of GAPDH house-keeping gene by using cDNA as a template, and searching in agarose gel electrophoresis. Identification of phosphatase and tensin homologue (PTEN) expressions in both WT mouse embryonic fibroblast cell line (MEFs) and prostate cancer (PC3) cell line by Western blotting using specific antibodies targeted to the proteins after being separated according to the size by SDS-PAGE gel electrophoresis. Investigation of gene transmission, according to Mendelian laws, from parents to F1 and F2 generations making a cross of Oregon (wt) and vestigial mutant (vg) Drosophila strains. Determination of estrogen receptor (ER)-alpha protein concentration in HCC1937 breast cancer cell line by BCA method and to detect the location and amount of the protein by antibody-based Western blotting combined with SDS-PAGE. Effects of DMSO on cell survival, an in vitro cell culturing research. To show that PS1 and PS2 form specific complexes with nicastrin by co-immunoprecipitation with Western blotting using antibodies specific to PS1 NTF, PS2 NTF and C-NCT in brain tissue cells. He has been graduated from Ankara University, Medical Faculty in 1998 and had his residency on Obstetrics and Gynecology between 1998 and 2003. In 2003, he had been started to his speciality on Reproductive Endocrinology and Infertility at the “Centre of Reproductive Health and Infertility”. Between 2006 and 2007, he continued his work on artificial reproductive techniques (ART) and in-vitro fertilization at Schleswig Holstein University Lübeck-Germany, IVF unit and department of reproductive endocrinology (TÜBİTAK and Foundation of Turkish-German Gynecology scholarship on doctorate programme). He had his Associated Professor and Professor degrees in 2010 and 2015 on Obstetrics and Gynecology at University of Ankara, Faculty of Medicine. 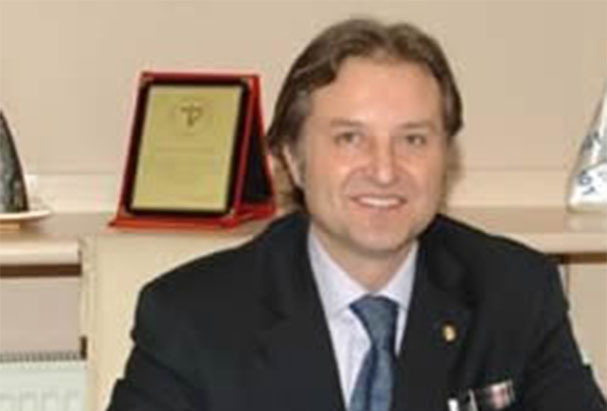 He has mainly focused on ART and Infertility, endoscopic and robotic surgery of reproductive health for more than 18 years. Dr Özmen has more than 100 scholar manuscripts in SCI and SCI expanded along with numerous lectures, both oral and poster presentations at International/National congress. His surgical expertise is on infertility and gynecological surgery involves severe endometriosis and adenomysis, endoscopic surgery of gynecology from ovarian cysts to hysterectomy and neovaginal reconstruction to mullein agenesis patients. He can both perform surgeries by endoscopy and robotic surgery. His academic interests are ovarian re-activation, fertility preservation by cryopreservation and vitrification of ovarian cortex tissue, oocyte and embryo at all cell stages from both single and married patients. 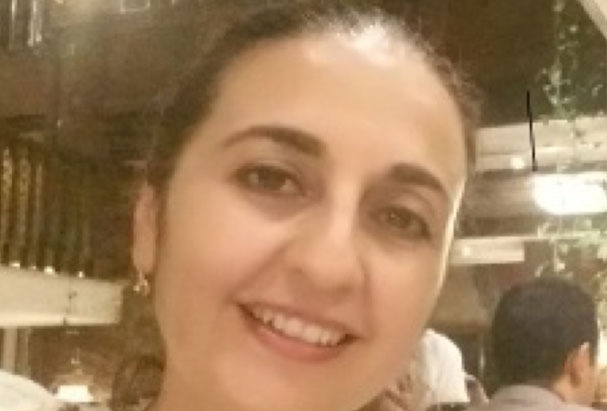 Dr Özmen has also deal with stem cell and regenerative medical treatments to Asherman's syndrome, premature ovarian failure and prepubertal female infertile patients such as Turner syndrome. He has been trustee member of Foundation of Turkish-German Gynaecology, member of UTCD (Reproductive Medicine and surgery of Turkish Association) and TSRM (Turkish society of reproductive medicine). 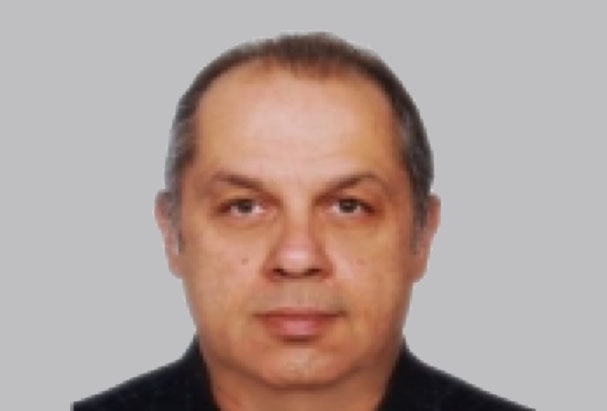 Murat Sönmezer completed his medical training in Hacettepe University Medical Faculty in 1994 and residency training in Ankara University Faculty of Medicine Department of Obstetrics and Gynecology in 2000. He completed a postdoctoral fellowship program in Weill Medical College of Cornell University, Center of Reproductive Medicine and Infertility in New York in 2003. He has published around 100 articles in peer reviewed international journals, coauthored in various international textbooks and lectured in several scientific international meetings. He is a current member of the executive committee of the Society of Reproductive Medicine and Reproductive Surgery. Among the area of his special interests are ART, reproductive surgery and fertility preservation. 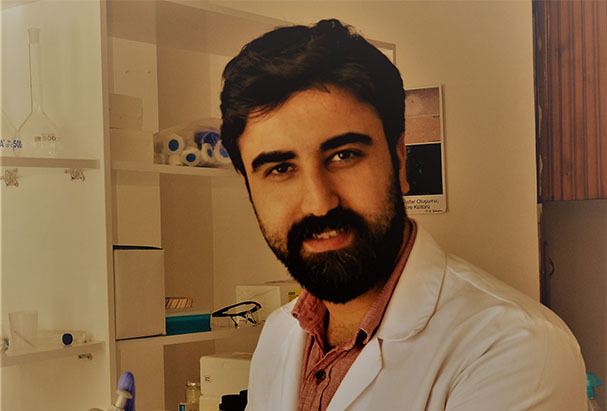 Murat Sonmezer has been working as attending physician at the Center for Human Reproduction and Infertility of the Ankara University Faculty of Medicine, and running a special program regarding ovarian tissue cryopreservation in cancer patients. His research interest is reproductive biology and genetics. His current research is focused on molecular and cellular mechanisms of spermatogenesis and spermatogonial stem cell differentiation and male infertility. He has many national and international publications and awarded prices for poster presentations. Baltacı worked as lecturer at the Department of Medical Genetics in the Faculty of Medicine in Atatürk University (Erzurum) and Başkent University (Ankara), studied reproductive genetics and preimplantation genetic diagnosis in the Baylor Collage (Houston, USA), and then became the chief of Embryology Laboratory of IV fertilization Unit at the University of Ankara. Volkan Baltacı received the title of Professor in February in 2008, and he is married with two children. 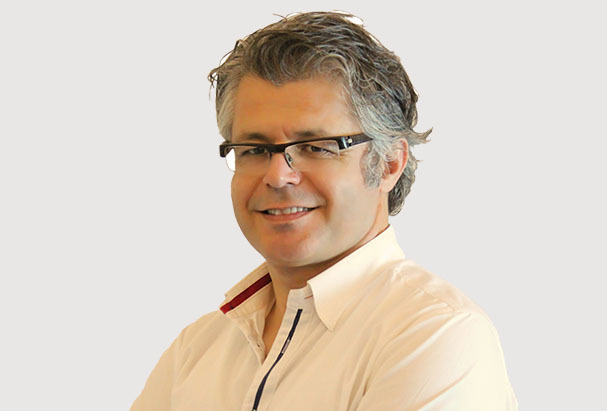 Dr. Volkan Baltacı currently works at Yüksek İhtisas University, Faculty of Medicine, Department of Medical Genetics. 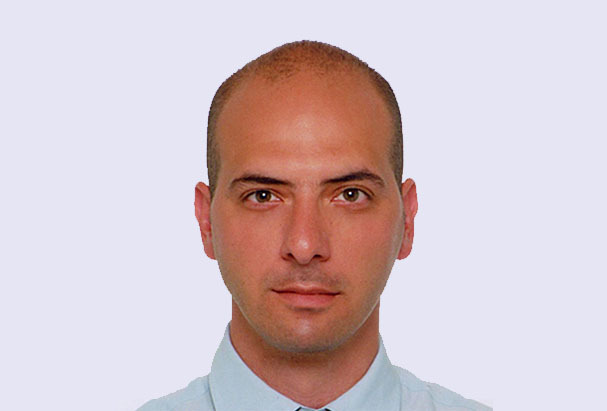 Dr. Özkavukçu is a clinical embryologist in the field of histology and embryology. He still works as lecturer in the Department of Histology and Embryology, Ankara University School of Medicine. Beside this, he is employed in the same university as director of Embryology Laboratory of Center for Assisted Reproduction, Obstetrics and Gynecology. He also gained experience both in Yale University School of Medicine, Department of Obstetrics and Gynecology, CT, USA and then in Division of Reproductive Medicine & Institute for Fertility Preservation, New York Medical College, NY, USA. He has scientific memberships in Turkish Society of Clinical Embryology, Turkish Society of Histology and Embryology, European Society of Human Reproduction and Embryology (ESHRE) and Alpha - Scientists in Reproductive Medicine. He has published several articles in peer reviewed international journals, coauthored in various international textbooks and lectured in several scientific international meetings. 2. Huszar G, Ozkavukcu S, Jakab A, Celik-Ozenci C, Sati GL, Cayli S. Hyaluronic acid binding ability of human sperm reflects cellular maturity and fertilizing potential: selection of sperm for intracytoplasmic sperm injection. Curr Opin Obstet Gynecol. 2006 Jun;18(3):260-7. 3. Huszar G, Jakab A, Sakkas D, Ozenci CC, Cayli S, Delpiano E, Ozkavukcu S. Fertility testing and ICSI sperm selection by hyaluronic acid binding: clinical and genetic aspects. Reprod Biomed Online. 2007 May;14(5):650-63. 4. Atabekoglu C, Sonmezer M, Ozkavukcu S, Isbacar S. Unexpected pregnancy despite extremely decreased estradiol levels during ovarian stimulation. Fertil Steril. 2008 Aug 5. 5. Ozkavukcu S, Erdemli E, Isik A, Oztuna D, Karahuseyinoglu S. Effects of cryopreservation on sperm parameters and ultrastructural morphology of human spermatozoa. J Assist Reprod Genet. 2008 Aug 13. 7. Sönmezer M, Pelin Cil A, Atabekoğlu C, Ozkavukçu S, Ozmen B. Does premature luteinization or early surge of LH impair cycle outcome? Report of two successful outcomes. J Assist Reprod Genet. 2009 Feb 18. 8. Atabekoğlu CS, Gözükuçük M, Ozkavukçu S, Sönmezer M. Rare presentation of ectopic pregnancy following IVF-ET: live twin gestation in the same fallopian tube. Hum Fertil (Camb). 2009 Jun;12(2):122-4. 9. Sönmezer M, Ozmen B, Cil AP, Ozkavukçu S, Taşçi T, Olmuş H, Atabekoğlu CS. Dehydroepiandrosterone supplementation improves ovarian response and cycle outcome in poor responders. Reprod Biomed Online. 2009 Oct;19(4):508-13. 10. Sönmezer M, Iltemir Duvan C, Ozmen B, Taşçi T, Ozkavukçu S, Atabekoğlu CS. Outcomes after early or midfollicular phase LH supplementation in previous inadequate responders. Reprod Biomed Online. 2010 Mar;20(3):350-7. 11. Lee S, Ozkavukcu S, Heytens E, Moy F, Oktay K. Value of early referral to fertility preservation in young women with breast cancer. J Clin Oncol. 2010 Nov 1;28(31):4683-6. 12. Lee S, Heytens E, Moy F, Ozkavukcu S, Oktay K. Determinants of access to fertility preservation in women with breast cancer. Fertil Steril. 2011 May;95(6):1932-6. 13. Lee S, Ozkavukcu S, Heytens E, Moy F, Alappat RM, Oktay K. Anti-Mullerian hormone and antral follicle count as predictors for embryo/oocyte cryopreservation cycle outcomes in breast cancer patients stimulated with letrozole and follicle stimulating hormone. J Assist Reprod Genet. 2011 Jul;28(7):651-6. 14. Sönmezer M, Özmen B, Atabekoglu CS, Papuccu EG, Ozkavukcu S, Berker B, Pabuccu R. Serum anti-Mullerian hormone levels correlate with ovarian response in idiopathic hypogonadotropic hypogonadism. J Assist Reprod Genet. 2012 Jul;29(7):597-602. 16. Ozkavukcu S, Ibis E, Kizil S, Isbacar S, Aydos K. A laboratory modification to testicular sperm preparation technique improves spermatogenic cell yield. Asian J Androl. 2014 Jul 1. 17. Aras D, Cinar O, Cakar Z, Ozkavukcu S, Can A. Can dicoumarol be used as a gonad-safe anticancer agent: an in vitro and in vivo experimental study. Mol Hum Reprod. 2016 Jan;22(1):57-67. 18. Tolunay HE, Şükür YE, Ozkavukcu S, Seval MM, Ateş C, Türksoy VA, Ecemiş T, Atabekoğlu CS, Özmen B, Berker B, Sönmezer M. Heavy metal and trace element concentrations in blood and follicular fluid affect ART outcome. Eur J Obstet Gynecol Reprod Biol. 2016 Mar;198:73-7. 19. Cakar Z, Cetinkaya B, Aras D, Koca B, Ozkavukcu S, Kaplanoglu İ, Can A, Cinar O. Does combining magnetic-activated cell sorting with density gradient or swim-up improve sperm selection? J Assist Reprod Genet. 2016 Aug;33(8):1059-65. 22. Aras D, Cakar Z, Ozkavukcu S, Can A, Cinar O. In Vivo acrylamide exposure may cause severe toxicity to mouse oocytes through its metabolite glycidamide. PLoS One. 2017 Feb 9;12(2):e0172026. 23. Demirel MA, Acar DB, Ekim B, Çelikkan FT, Alkan KK, Salar S, Erdemli EA, Özkavukçu S, Yar SS, Kanca H, Baştan A. The evaluation of xenotransplantation of feline ovarian tissue vitrified by needle immersed vitrification technique into male immunodeficient mice. Cell Tissue Bank. 2018 Mar;19(1):133-147. 24. Kiratli S, Yuncu M, Kose K, Ozkavukcu S. A comparative evaluation of migration sedimentation method for sperm preparation. Syst Biol Reprod Med. 2018 Apr;64(2):122-129. 25. 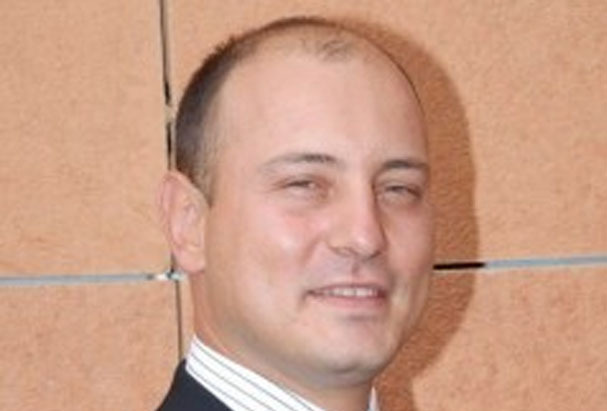 Ozkavukcu S, Celik-Ozenci C, Konuk E, Atabekoglu C. Live birth after Laser Assisted Viability Assessment (LAVA) to detect pentoxifylline resistant ejaculated immotile spermatozoa during ICSI in a couple with male Kartagener's syndrome. Reprod Biol Endocrinol. 2018 Feb 5;16(1):10. 27. Aydos OS, Yukselten Y, Ozkavukcu S, Sunguroglu A, Aydos K. ADAMTS1 and ADAMTS5 metalloproteases produced by Sertoli cells: a potential diagnostic marker in azoospermia. Syst Biol Reprod Med. 2018 May 8:1-10. After graduating from Ankara University School of Medicine, she completed her specialty on Obstetrics and Gynecology and worked as a gynecologist in 1992-1997. She had her PhD in Medical Genetics in Medical School of Ankara University in 2003. Since 2006, she continues her academic studies as an associate professor at the same University in the department of Medical Genetics, where she teaches undergraduate and postgraduate courses in Medical Biology and Medical Genetics. Also conducted several TÜBİTAK and Scientific Research Projects (BAP). She worked as a Master/Doctorate student advisor. Her research interests include reproductive biology and genetics, as well as cancer genetics. Dr. Aydos presented many national/international posters and made oral presentations in several national/international meetings. She has many national and international publications and wrote chapters in national and international books. 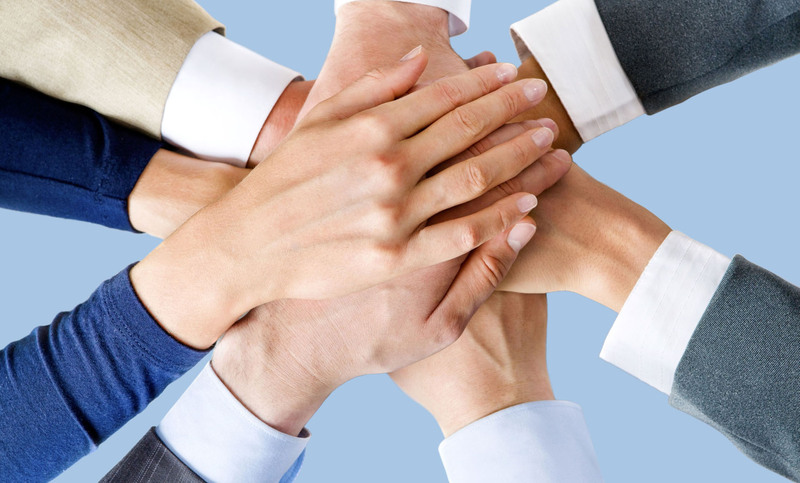 In a number of international peer reviewed journals takes place in editorial boards and works as a referee. 1. Heidargholizadeh S, Aydos SE, Yukselten Y, Ozkavukcu S, Sunguroglu A, Aydos K. A differential cytokine expression profile before and after rFSH treatment in Sertoli cell cultures of men with nonobstructive azoospermia. Andrologia. 2017 May;49(4). doi: 10.1111/and.12647. Epub 2016 Jul 21. PubMed PMID: 27444581. 2. Aydos SE, Yukselten Y, Sunguroglu A, Demircan K, Aydos K. Role of ADAMTS1 and ADAMTS5 in male infertility. Andrologia. 2016 Dec;48(10):1113-1119. doi: 10.1111/and.12547. Epub 2016 Feb 16. PubMed PMID: 26888488. 3. Aydos SE, Karadağ A, Özkan T, Altınok B, Bunsuz M, Heidargholizadeh S, Aydos K, Sunguroğlu A. Association of MDR1 C3435T and C1236T single nucleotide polymorphisms with male factor infertility. Genet Mol Res. 2015 Jun 11;14(2):6330-9. doi: 10.4238/2015.June.11.8. PubMed PMID: 26125837. 4. Celik S, Akcora D, Ozkan T, Varol N, Aydos S, Sunguroglu A. Methylation analysis of the DAPK1 gene in imatinib-resistant chronic myeloid leukemia patients. Oncol Lett. 2015 Jan;9(1):399-404. Epub 2014 Nov 6. PubMed PMID: 25435999; PubMed Central PMCID: PMC4246661. 5. Taspinar M, Aydos S, Sakiragaoglu O, Duzen IV, Yalcinkaya A, Oztuna D, Bardakci H, Tutar E, Sunguroglu A. Impact of genetic variations of the CYP1A1, GSTT1, and GSTM1 genes on the risk of coronary artery disease. DNA Cell Biol. 2012 Feb;31(2):211-8. doi: 10.1089/dna.2011.1252. Epub 2011 Aug 17. PubMed PMID: 21848428. 6. Bucak MN, Tuncer PB, Sarıözkan S, Başpınar N, Taşpınar M, Coyan K, Bilgili A, Akalın PP, Büyükleblebici S, Aydos S, Ilgaz S, Sunguroğlu A, Oztuna D. Effects of antioxidants on post-thawed bovine sperm and oxidative stress parameters: antioxidants protect DNA integrity against cryodamage. Cryobiology. 2010 Dec;61(3):248-53. doi: 10.1016/j.cryobiol.2010.09.001. Epub 2010 Sep 15. PubMed PMID: 20833164. 7. Aydos SE, Taspinar M, Sunguroglu A, Aydos K. Association of CYP1A1 and glutathione S-transferase polymorphisms with male factor infertility. Fertil Steril. 2009 Aug;92(2):541-7. doi: 10.1016/j.fertnstert.2008.07.017. Epub 2008 Sep 6. PubMed PMID: 18774560. 8. Taspinar M, Aydos SE, Comez O, Elhan AH, Karabulut HG, Sunguroglu A. CYP1A1, GST gene polymorphisms and risk of chronic myeloid leukemia. Swiss Med Wkly. 2008 Jan 12;138(1-2):12-7. doi: 2008/01/smw-12036. PubMed PMID: 18224491. 9. Aydos SE, Tükün A. Does telomere length affect blood pressure? Adv Ther. 2007 Mar-Apr;24(2):269-72. PubMed PMID: 17565916. 10. Aydos SE, Tükün A. Infertility in a man with oligoasthenoteratozoospermia associated with nonrobertsonian translocation t(9;15)(p10;q10). Fertil Steril. 2006 Oct;86(4):1001.e7-9. PubMed PMID: 17027368. 11. Aydos SE, Elhan AH, Tükün A. Is telomere length one of the determinants of reproductive life span? Arch Gynecol Obstet. 2005 Jul;272(2):113-6. Epub 2005 May 3. PubMed PMID: 15868185. 12. Aydos SE, Fitoz S, Bökesoy I. Macrodystrophia lipomatosa of the feet and subcutaneous lipomas. Am J Med Genet A. 2003 May 15;119A(1):63-5. PubMed PMID: 12707961. 13. Aydos S, Tükün A, Bökesoy I. Gonadal dysgenesis and the Mayer-Rokitansky-Kuster-Hauser syndrome in a girl with 46,X,del(X)(pter-->q22:). Arch Gynecol Obstet. 2003 Jan;267(3):173-4. PubMed PMID: 12552332.